The leaked images of the new Akai Pro device gave the impression of something along the lines of the Ableton Push but Force is a standalone sampling groove box that just looks a lot like some of those other computer-based controllers. Great name! 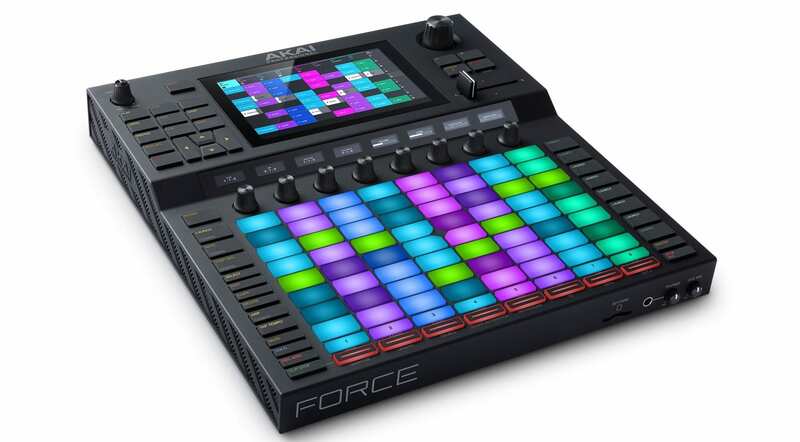 Force is a clip launching sampler, sequencer, synth and performance machine with recording inputs, CV outputs, an OLED screen and a whole load of real-time performance controls. 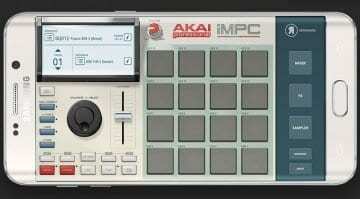 You could liken it to the Native Instruments Maschine but without needing a computer. And that’s the key thing about Force is that it’s out there on its own being exactly what a 21st-century MPC style machine should be. The main body of Force is taken up with the colourful 8×8 matrix grid of clip launching pads. These must have something to do with sequencing and tracks and the screen but the press release doesn’t really seem to go into too much detail. 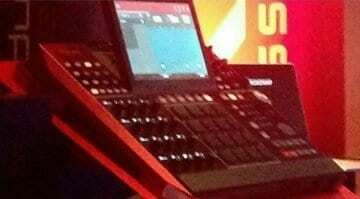 We know that the screen is 7″ big, full colour and multi-touch and that there are 8 touch sensitive knobs right underneath. But what’s actually going on with clip creation, step-sequencing and track recording is anyone’s guess at this time. There’s bound to be a video along at some point to tell us all these things. 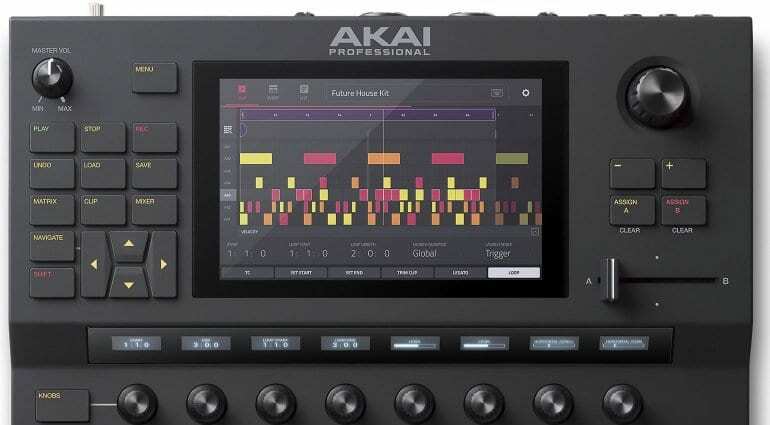 Akai Pro Force sequencing – how does it work? 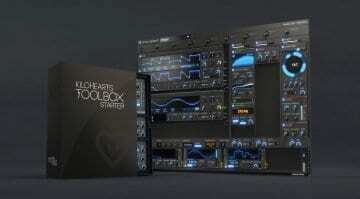 Inside the box there’s a bunch of time and pitch stretching tools, onboard effects from AIR plus a number of synthesizer engines. 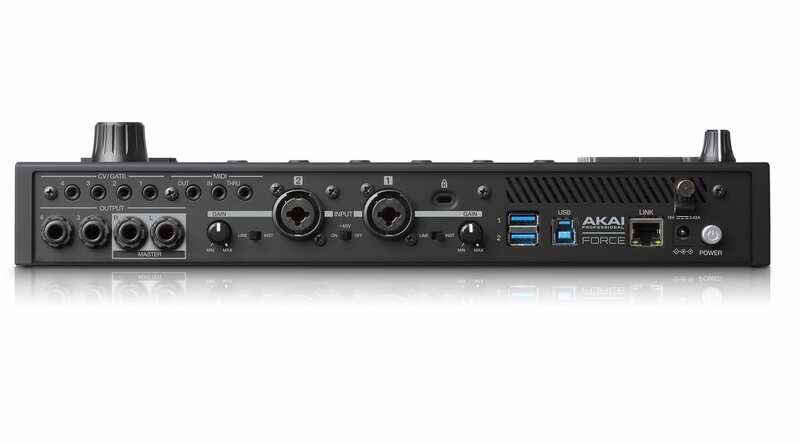 You can also record 8 straight stereo audio tracks. It comes with 16GB of storage, 10GB of content, 2GB of RAM an SD card slot and room for another drive. 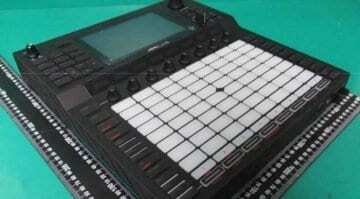 USB ports let you add additional MIDI controllers which is a really nice idea. The press release also says that it will be launched in February but in March there will be two important additional developments. Firstly there will be in-depth Ableton Live integration which attaches Force back to the computer and also Splice integration for access to an online library of samples. Oh, Force also has Wifi. Force will retail for an impressive $1499. I’m looking forward to seeing exactly what it can do. I’m hoping it doesn’t take too long before the MPCs get the Hype synth engine to go alongside the other 3. These standalone machines are a lot of fun!